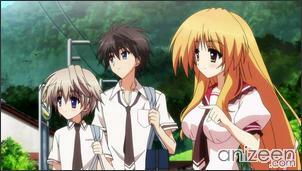 Kazuma Hoshino and his little brother Ayumu move to Yamabi Kochou, a small town in the country. 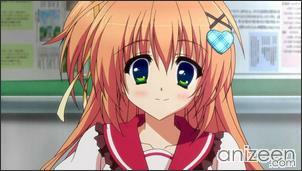 They move to this town because Ayumu has a weak body and therefore needs a better environment. Right away, Kazuma goes in pursuit of a monkey that took his brother’s hat. 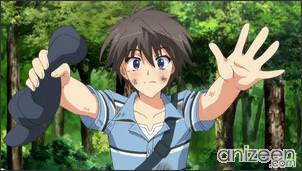 After recovering the hat, he gets lost and meets Ui Nakatsugawa, who offers to show him the way back to the bus stop. As he tries to skip across a creek on the way, he slips and lands on top of her, knocking her down and accidentally kissing her in the process. To make matters worse, Ibuki Hinata, one of Ui’s friends, sees all the show. Ibuki appears and thinks Kazuma forced himself on Ui calling him a pervert. Later that day, when the brothers reach the Yorozuyo inn they are welcomed by the owner and shows their way to the room. When Kazume prepares to take a relaxing bath, he is accidentaly seen naked by Tsumugi Toudou and the owner of the inn Senka Yorozuyo. In the morning, the Hoshino brothers are ready for school and Tsumugi shows them the way. 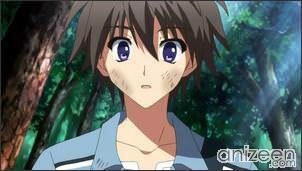 When Kazuma enters his class, Ibuki notices him right away. 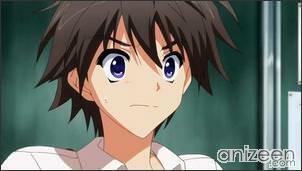 Now Ibuki will try to interfere between Kazuma and Ui, who is also in the same class. 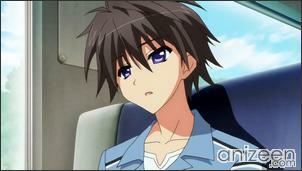 Kazuma Hoshino moved to the country along with his brother because he is ill and needs the fresh open air. He meets Ui when she was picking plants on the mountain when they cross the river he accidentaly slips and fell on Ui, kissing her. and Hinata appears almost right away. He recollects the memory of his childhood friend often. Ui Nakatsugawa is a very slow person who is quick to get her lunch ready; she enjoys eating to the extent of eating Ramen instead of practicing for an upcoming race. She seems to be embarrassed whenever her kiss with Kazuma is mentioned, or whenever someone makes a comment related to it. Her older brother also seems to be an important figure in her life. Ibuki Hinata is a second-year student, class rep and Kazuma’s classmate. 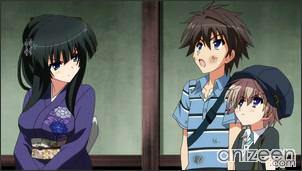 First, she doesn’t like being near Kazuma, and doesn’t like him being near Ui. This is due to the fact that in their first meeting, she saw Kazuma kissing Ui, and thought he had forced her into it, as she had missed him slipping earlier. Tsumugi Toudou is a third-year Yamabiko South Academy student, she is Kazuma’s senpai and also works in Yorozuyo. 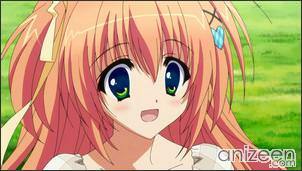 She is Koyori and Kasane’s older sister. Her first meeting with Kazuma was in the bathroom of Yorozuyo, she was cleaning the bath when he walked in. 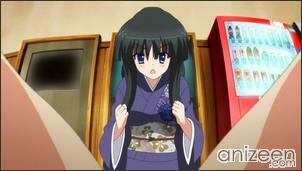 Koyori Toudou is a girl Kazuma first meets when he was visiting the shrine. She seems rather cold towards Kazuma and thinks of him badly because of the rumors going around. 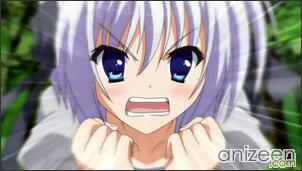 She is shown as a nice person at heart and Kazuma is the only one she is cold to. 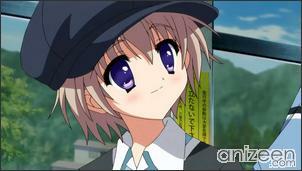 Hina Sakai is Kazuma’s Senpai, she is a third-year student like Tsugumi. Kazuma meets her after crashing into her in an attempt to catch a sandwich. Since she was a child, she was the tallest in her class. Kazuma embarasses her by referring to an accessory on her phone as cute – she thought he was saying it to her, something no one else had ever said. 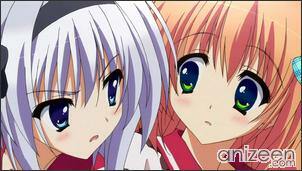 Hoshizora e Kakaru Hashi (星空へ架かる橋) is a Japanese adult bishoujo game published by Feng. 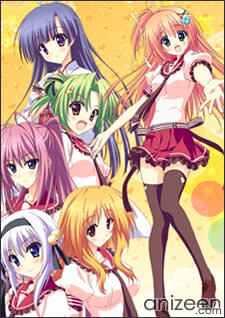 An anime adaptation, by Dogakobo under the direction of Takenori Mihara and Go Zappa supervising the scriptwriting, began its broadcast run on April 11, 2011.